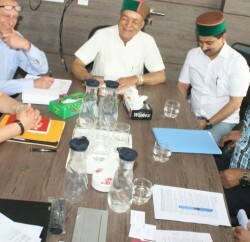 Himachal Welfare Association delegation, headed by Vice Chairman, HRTC Kewal Singh Pathania met Assam Chief Minister Tarun Gagoi in Guwhati and discussed the various issues of the Himachalis settled in North Eastern States. 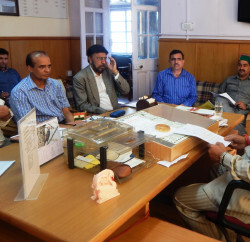 Pathania demanded suitable land for constructing of Himachal Bhawan in Guwhati so as the large number of North Indian particularly Himachalis who come to North Eastern States for pilgrimage and other purposes could be provided boarding lodging facilities of their choice in the Bhawan. 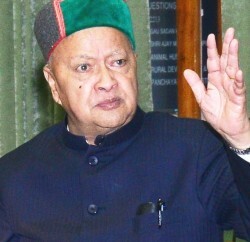 He apprised Tarun Gagoi of Skill Development Programme and other welfare oriented programmes launched by the State Government in the Himachal Pradesh. He also invited Assam Chief Minister to visit the Himachal Pradesh and he accepted the invitation. He informed that Gagoi also gave his consent for providing land for construction of Himachal Bhawan in Guwhati and said that Assam Government will facilitate Himachalis in preserving their rich cultural heritage and solve their all genuine problems.